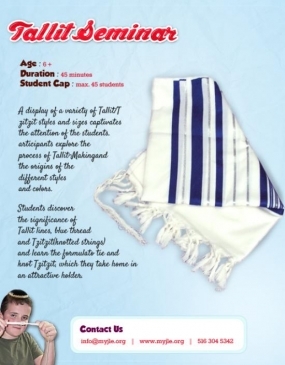 A display of a variety of Tallit/Tzitzit styles and sizes captivates the attention of the students. Participants explore the process of Tallit-Making and the origins of the different styles and colors. 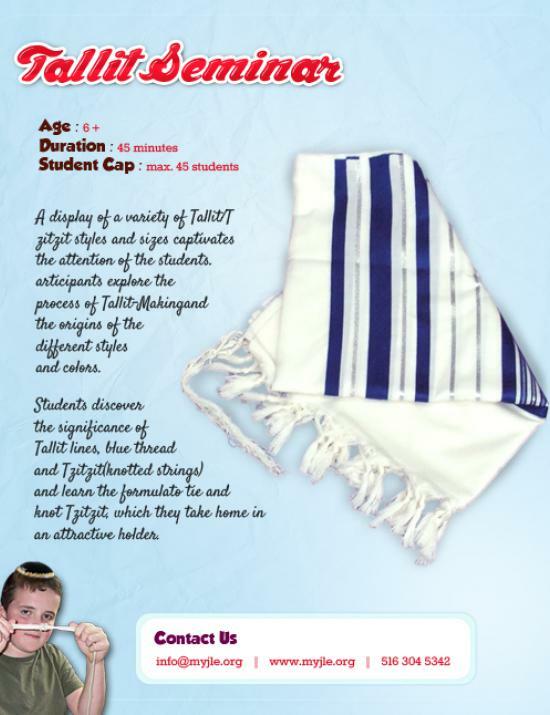 Students discover the significance of Tallit lines, blue thread and Tzitzit (knotted strings) and learn the formula to tie and knot Tzitzit, which they take home in an attractive holder.